I'm not a graphic designer. I can barely use Adobe Photoshop. So, thank goodness for Canva. See the blog title image above? Yea, I did that! (Not trying to brag or anything.) You can do it too tho. It's as easy as a manicure. Choosing your template is the first step to creating any artwork in Canva. Think of the template as your base coat. Design fun social media graphics and unique quote cards. 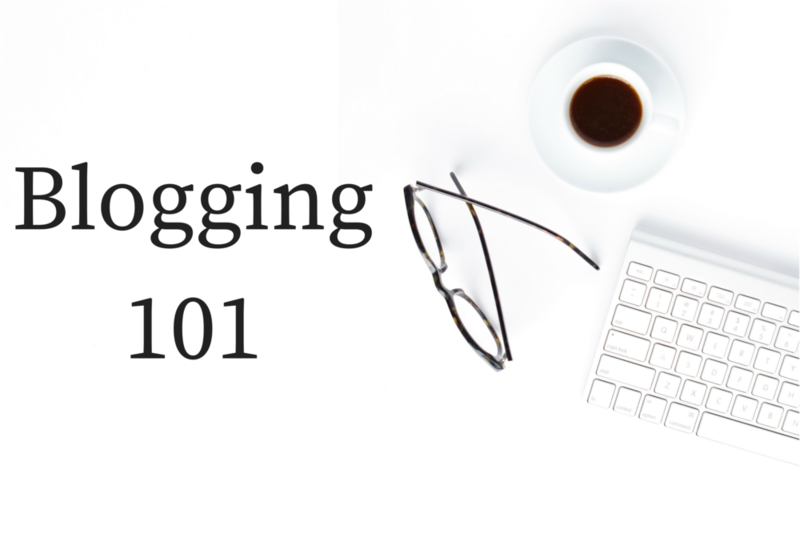 Create visually appealing blog content. There is a template for whatever you want to create. They come in all different shapes and sizes for any digital media post you can think of. You can create a custom sized template, or keep it simple by using the millions of options already available to you. Facebook, Twitter, Instagram, Pinterest, Tumblr, etc. There's even templates for printable products, like business cards, brochures, and posters. You name it, Canva's got it. And just in case they don't, here's HubSpot's Go-To Social Media Image Size Cheat Sheet. Choosing your background is the second step to creating your masterpiece. Think of the background as your color coat, which goes on after your base coat. (See where I'm going with this?) Copy on photos is always a go to for me. I also love photos with lots of white space, leaving plenty of room for text. Patterns can make fun backgrounds, depending what the purpose of your social media graphic is. If you're gonna go font-crazy with your text, a solid colored background is usually best. Don't worry! You can change the background later, if you decide a different background will work better for your design. Choosing your fonts and colors is the third (but major) step in designing your work of art. Think of the colors as the second color coat to really make that color pop. Think of the fonts as the finishing touches or the design. (I always get a design on my manicure for holidays and special occasions.) Use the same fonts and colors from your current branding and design. This is where those hex codes will come in handy. And you can design your branding board right here on Canva for Work. So when you create new graphics, your color palette and font pairings will already be in your toolbar for you to use. And in that case, forget the hex codes. I never design and publish something on the first try. I view it with a dark background (focusing only on the graphic), print it out, look at it for an hour or so, and then I make it final. There are so many aspects of design to review, before making the big decision to post something, especially if you're posting on behalf of your blog. The colors should pop, but not clash with each other and make the graphic look loud. The fonts should be the same and text size should be just right. There is such a thing as being too small or too large, when it comes to text. Viewers need to be able to read the text, but it shouldn't be so big that it takes the focus off of the rest of the image all together. Oh we talkin' teams?!?! Make up an unofficial editorial team from your friends that you can count on 1) to be available and 2) to be honest with you. I share my blog content and social media graphics with a few friends before posting or publishing any of it. Nothing #OSFL goes public until it's been edited 2-3 times. If your a blogger sharing your content via all forms of social media, the resizing tool alone makes it totally worth it to invest in Canva for Work. With just one click, you can resize your graphic into several sizes simultaneously. Above are two pictures (duh). The picture on the left may look familiar, if you've read my Blogging 101 post. I created that graphic on Canva, using a stock photo from SC Stockshop. The picture on the right is the original stock photo. So basically, the right is my before and the left is my after. I chose this particular background from my first twenty complimentary stock photos that I received when I subscribed to SC Insiders newsletter. How did I make this? I started off by creating a custom sized template using the same dimensions as my stock photo, which was 3500 X 2334. I did this to avoid pixelating the image. Btw, pixelating is just a fancy word for distorting the pixels that make up an image. Now obviously with some help from a stock photo, I didn't have to do much to create this "masterpiece." But one conscious decision that I did make was choosing a font within my brand. I used the Source Serif Pro font in a size 88 for my text. If you're paying close attention to detail, you'll notice this is the same font used all over my blog. I had to play with the text size a bit, until I finally got it right. Remember, if you go too big, it'll take the reader's attention off the image as a whole. Once I posted the blog content on my site, I intend to shout it out on all of my blog's social media pages. So, I used my magic resizing tool to create social media graphics for Facebook, Twitter, Instagram, Pinterest, and Tumblr. I also created a "general" social media graphic, which comes out as the "average" social media image size of 800 X 800. It's that easy! There's no reason why you can't be a creative non-designer too. Check out Shay Cochrane's SC Stockshop article on How to Use Canva to Create Simple Styled Stock Mock-Ups.